This series explores tragic loss and the poignant strength that can arise from resolution. The arc of healing is different for everyone and it cannot be cut short. The mourning process takes time and is a profoundly unique and personal experience. But a choice must be made to eschew bitterness and resentment while embracing the imprint that the lost loved made on our soul. 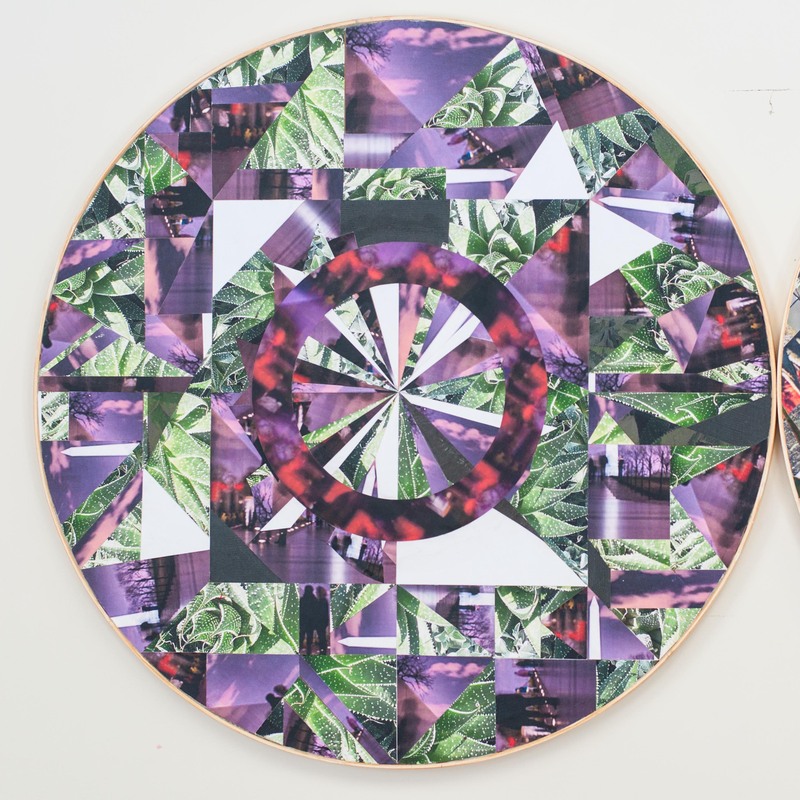 Circular Collage: The collage juxtaposes images of the healing aloe plant and a war memorial monument honoring the loss of many lives. It teaches us to heal and to remember. 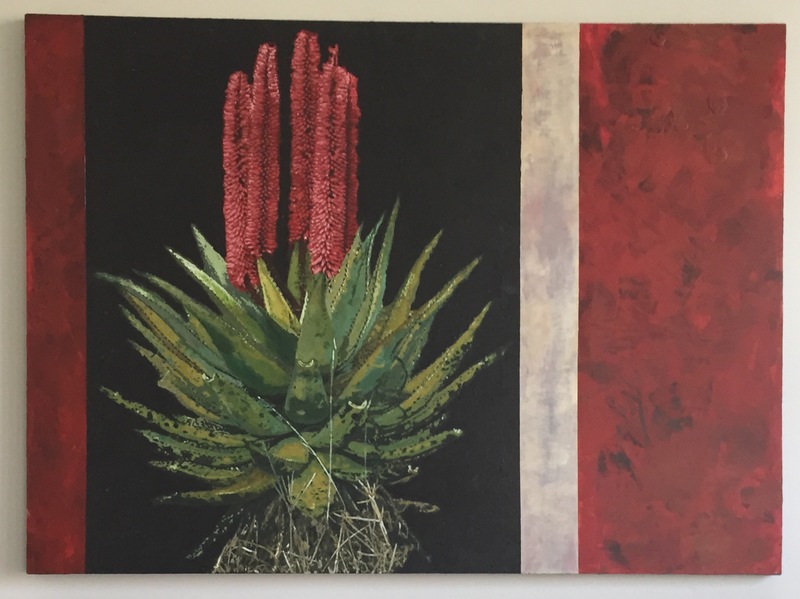 Acrylic Paint & Mixed Media on Masonite Panel: The aloe is depicted against a black and red background. It suggests that healing is available in even tragic circumstances. Bleakness is overcome through healing. Lines symbolize life and death. Even though the transition between life and death is final the artist feels it represents a new beginning. Final it is also transitioning into a new beginning. Color Photograph: Amanda Coe’s uncle Paul, who was killed in action during the Vietnam War, inspired the photograph. 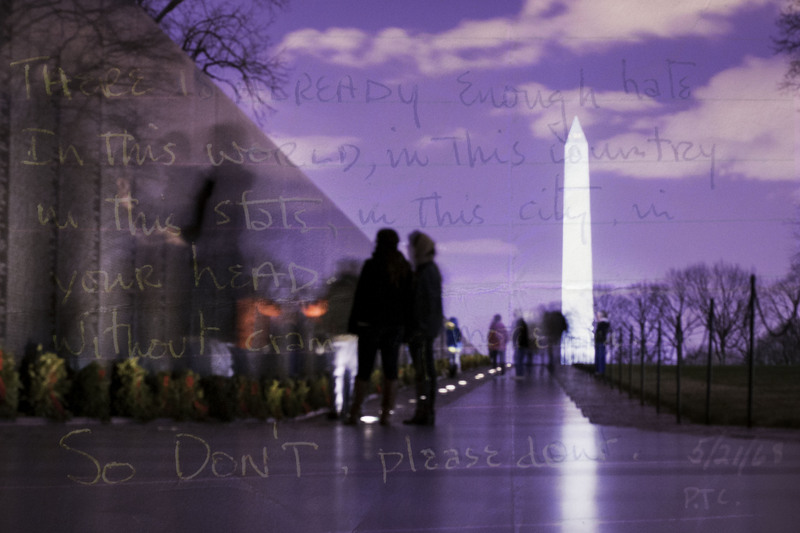 The image of the Vietnam Memorial Wall and Washington Monument is overlaid with a few lines from a poem written in Paul’s hand that invites us to put aside hate and strife. While visiting the memorial with her family, Amanda Coe was touched by all the other families and friends honoring the names inscribed on the wall. They were grieving while celebrating. They were hopeful in their sorrow. They were healing.